This year we conducted a snap shot survey, supported by a set of face-to-face interviews with Private Equity Managing Partners, Partners and Senior Directors in both North America and Europe. 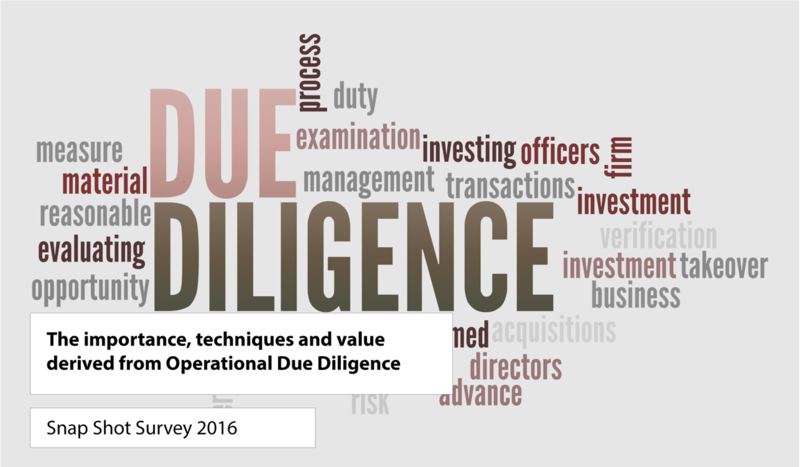 The purpose was to ascertain Private Equity partner attitudes and trends in performing Operational Due Diligence on their investments. What percentage of respondents believe that there will be an increase in the importance of ODD in the next 2 years. The amount of respondents that state that they have carried out some form of ODD on half or more of their investments in the last 2 years.